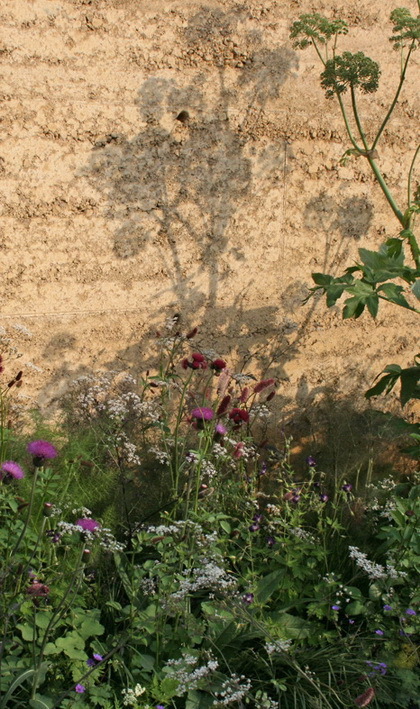 Rammed earth walls have featured in high profile and prize winning flower shows. Rammed earth is fast to build without making a lot of CO2 so there's no waste if you knock it down after a week, a month or a year. What's more you can use the material again to building something new. But for garden designers it is the massive quality of the material, textures and colours, which attracts them to it for shows, it can be used to frame or show off a garden, the colours of the material can be chosen to suit. Sarah Eberle created a garden for astronauts on Mars for a 600 day visit. It won 'Best in Show' because her research into the subject of what might grow, the effect it would have on the far from home astronauts and the available materials on Mars which include soils and water. She played with the look of the soils, combining different coloured clays and stones for strong visual effects. order the formwork. Once on site after the formwork was set up with the team and a quick refresher done they just got on and built it. 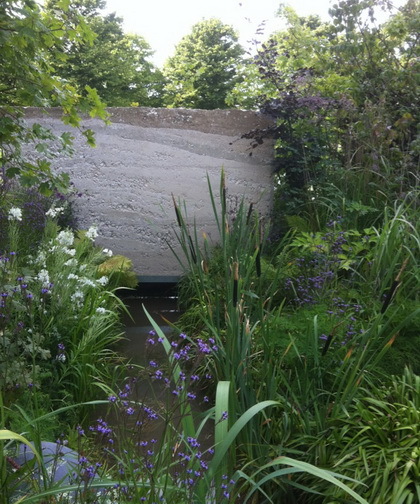 Sarah Price did something totally different and created a beautiful meadow in her prize winning garden. The back wall of rammed earth used a yellow coloured clay mixed with sand and aggregate. The colour was chosen from a chart and samples made to be sure she knew what she was getting. The build team were once again all gardeners and completed the build in just over a day, barrowing the mix straight into the formwork earlier on and later filling with a mini digger. But significantly after we made up the mix and designed the formwork we taught the team on site, in a day. 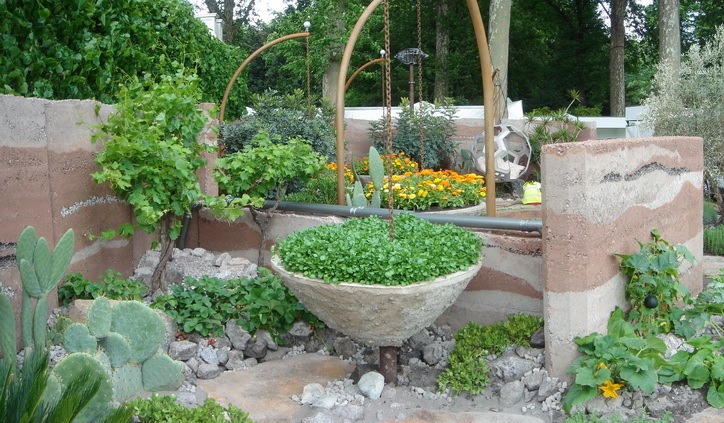 Fiona Stephenson took a different approach again building a garden for the World Wildlife Fund at the Hampton Court Flower Show. Using chalk she designed a wall which represented a slice through chalk downland. With a stream running under the wall it was a striking metaphor of what happens when water is mined out of these eco-systems for industrial agriculture and other uses. The chalk used was 'sight unseen' until we walked on site, a coarse mix from a site she was working on at the time. Using the material carefully we managed to build a wall to represent the geological layers of chalk in both colour and texture. Small by comparison with the other two gardens but also delivering a powerful environmental message.